As the July 1 CETA implementation date looms, a critical decision on import quotas is expected soon following several months of highly politicized consultations. If import quotas fail to support our dairy processing sector properly, particularly the smaller family-owned artisan cheesemakers, prices in Canada could actually go up in years to come, not down. This is a big month for our dairy sector. We will soon find out who gets to import that delicious, inexpensive European cheese that is allowed under the newly ratified Comprehensive European Trade Agreement (CETA). While some measures were taken last fall by the federal government to make our dairy sector more competitive, the most recent federal budget did not add anything more. We have seen some debates on how farmers and cheesemakers should be compensated considering CETA, but what should matter most is to whom Ottawa will grant permission to import tariff free European cheese. As the July 1 implementation date looms a decision on import quotas is expected soon following several months of highly politized consultations. With CETA, Canada agreed to import 18,500 tonnes of European cheeses annually by Year 6, a volume representing roughly 2% to 3% of our domestic market. It may not seem like much, yet given our restrictive supply management which operates under the principle of domestically producing the milk we need in Canada, CETA creates a significant breach in our highly protectionist quota-based production system. Since the deal was first signed in 2014 by the former Conservative government, the sector has been anxious, and rightly so. Ottawa had and still has no clear plans to make the Canadian cheese sector more competitive in response to an inflow of new, high-quality European cheese in the country. Last Fall, to make our dairy sector more CETA-ready, Ottawa announced two programs to make the dairy sector more competitive. A sum of $250m was set aside to make our dairy farms more competitive, while another $100m will be invested into our dairy processing facilities. This program was announced several days after the Trump victory so barely anyone noticed. While signing trade deals, the former Conservative government was promising billions in compensation, raising expectations exponentially. So of course, last Fall’s announcement was a disappointment for the sector. Our dairy sector needs more, way more. According to some reports the cost of milk production in Canada is almost double of what it is currently in the United States. Subsidies aside, many European dairy farms are more competitive than our farms in Canada. Beyond the meagre financial support programs, a clear road map to make our dairy sector more competitive is urgently needed. Such a plan would include a simple change in the Canadian Dairy Commission’s pricing formula which is used to compensate dairy farmers. Rewarding high performers should be the path forward and stragglers should be encouraged to exit the industry all together. Even the Dairy Farmers of Canada admit to some farms falling behind. With CETA, we can no longer afford to have farms consider supply management as a mechanism to accommodate agricultural welfare, bringing many other high-performing farms down with them. This needs to change. Another novel concept to consider would be internal quotas for external markets. Once rejected by the World Trade Organization, Canada could have a much stronger argument now to grant quotas to highly entrepreneurial, innovative farmers wanting to develop new markets aboard. It would be a bold move, but to make Canada a legitimate world-class agri-food player, this measure is worthy of consideration. However, to offset CETA’s negative impact the best tool the federal government has are the import quotas they are expected to issue soon. When agreeing to sign the deal, Canada agreed to allocate a cheese quota using an import licensing system on an annual basis. But we still do not know who between grocers, processors, artisan cheesemakers, dairy farmers or even restaurants will get licenses to import. What we do know is that at least 30% of the quotas at first will be available to new entrants every year. The rest is up for grabs by retailers, specialty stores, processors, anyone really. Canadian importers must apply for quota on an annual basis. 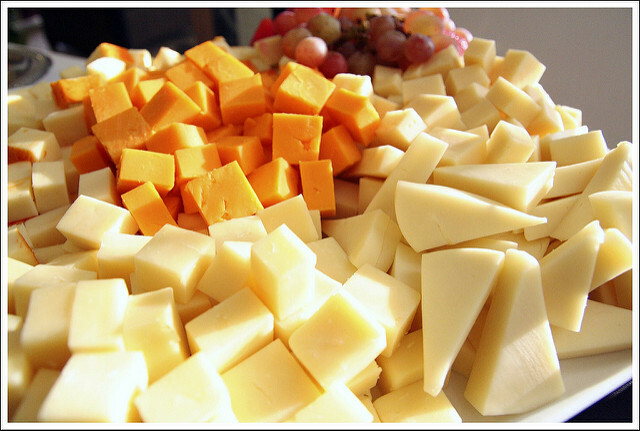 Applicants need to be a resident of Canada and be active in the Canadian cheese sector throughout the year. Criteria are such that many are eligible and can apply. Yet if the federal government is to do it right, many of the licences should go to those most affected by CETA. As such, priority should be given to small dairy processors, which are mostly family-own fine cheesemakers. Farmer-own cooperatives should also be considered in the mix as well, given their links to production. If not done right, we could see our dairy processing sector suffer. CETA makes this sector highly vulnerable and many great Canadian artisan cheesemakers could disappear. As far as cheese prices go, regardless of what happens to CETA licenses, consumers shouldn’t be holding their collective breathes. Even though it is always difficult to predict what is likely to happen in retail stores, chances are prices will remain somewhat the same. Cheese has historically been expensive in Canada, yet consumers have always continued to buy it. Unless retailers feel they would be selling more products with lower prices, rebates at the dairy counter are highly unlikely. What will change, however, is the variety of products. The flavours that come with European cheeses will likely set new mental benchmarks for consumers. As a result, Canadian cheesemakers will need to accept that they will be dealing with a different, perhaps more demanding consumer in a few years’ time. But if import quotas fail to support our dairy processing sector properly, with less choices, cheese prices could actually go up in the years to come, not down.